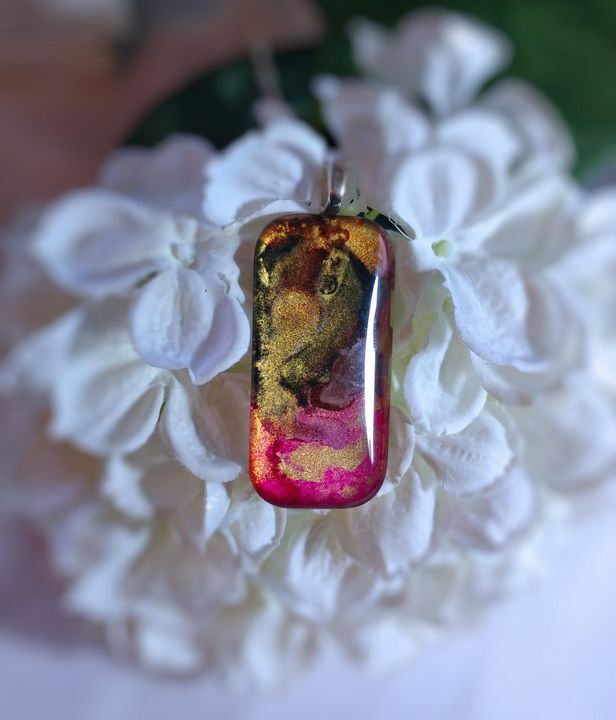 Hand Painted Glass Jewelry Pendant and Necklace - Magical Life 163 - You matter. You are loved. You are worthy. You are the beautiful gift we are blessed with every day. Life is magical because of you. This 1" x 2" glass pendant in exquisitely deep tones of red and green, enhanced by metallic copper and gold, is hand painted with alcohol ink. It is adorned with a silver bail and comes with a silver plated 18" snake chain. The necklace is readily available as a gift as it comes with an organza bag inside a jewelry box. Although the pendant is sealed, alcohol based products (perfumes, hand gel sanitizers, etc.) 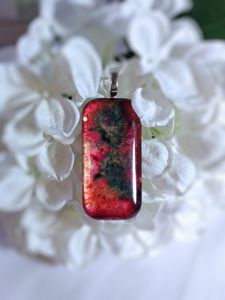 may wear away the sealer and the alcohol ink if the pendant comes in contact with these kinds of solvents. Please remember, it is best not to spray colognes or perfumes near the pendant. Also, please do not shower with or immerse the pendant as it is not waterproof. According to Albert Einstein, logic will get you from A to B, but imagination will take you everywhere. Me, I am just a girl with a wild imagination. If I am not creating, I am thinking about creating. I experiment, I take risks, I break the rules. I make mistakes, but when I do, I make it part of my art. 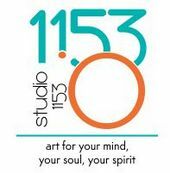 My passion is to design art for your mind, your soul, your spirit. All of the work you see here is hand painted by me in my sun filled studio in South Carolina. Colorful, unique and beautiful, every piece of jewelry is an original design and one of a kind. The newest additions to our pendant line have their own stories included with their gift presentation. Home decor will be available as original and prints. Accessories will be available as originals and one of a kind. Art makes my soul grow and if I happen to make a living from it, then I will be ever so more grateful.